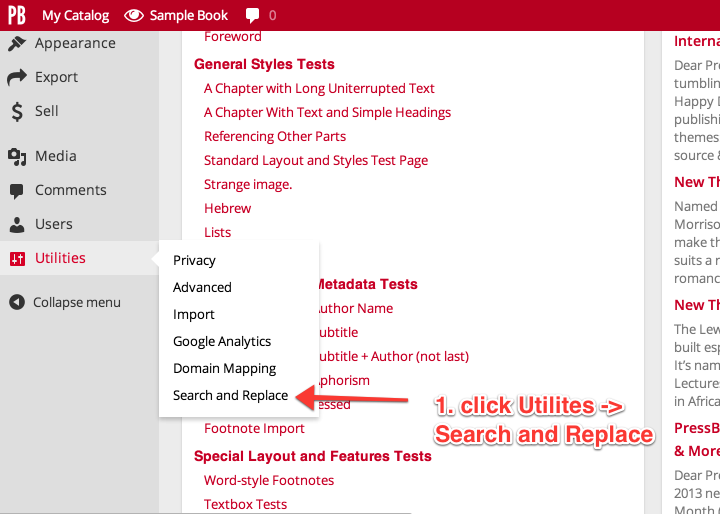 We’ve added a new feature to PressBooks allow you to search & replace content across your entire book. *NOTE: While you get a complete list of strings to be replaced, you cannot select which ones will get replaced, it’s all or nothing. Click “Replace & Save” … to make it happen. 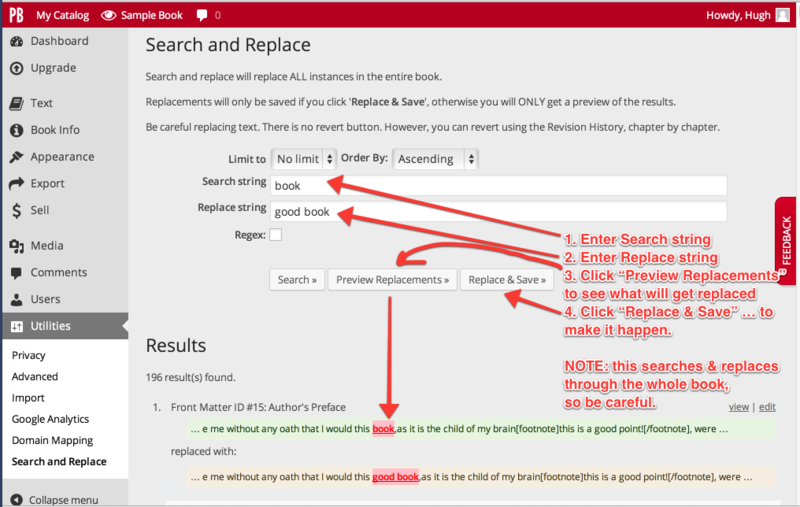 REMINDER: this searches & replaces throughout the whole book, so be careful. Questions? Comments? Need help? Send us an email: support@pressbooks.com.